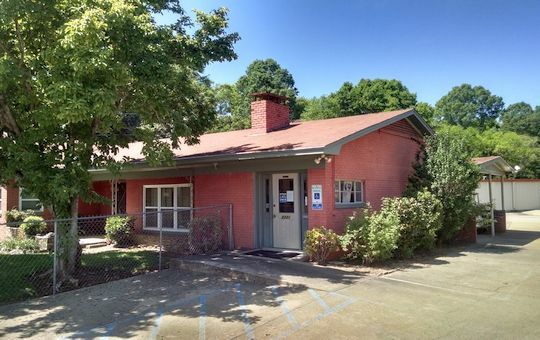 Gunter Self Storage is a Self-Storage Facility located in Montgomery, Alabama. We offer a large selection of storage unit sizes AND storage options. Family owned and operated for over 10 years, we’re located next to the Gunter Annex Military Installation, part of the Maxwell Air Force Base complex in Montgomery, Alabama. Gunter Self Storage also offers interior storage units that regulate temperature and humidity. Gunter Self Storage understands the importance of maintaining a secure storage facility. Montgomery storage customers expect their valuable belongings to be safe and secure. At Gunter Self Storage, we value the security and safety of both our customers AND their possessions. 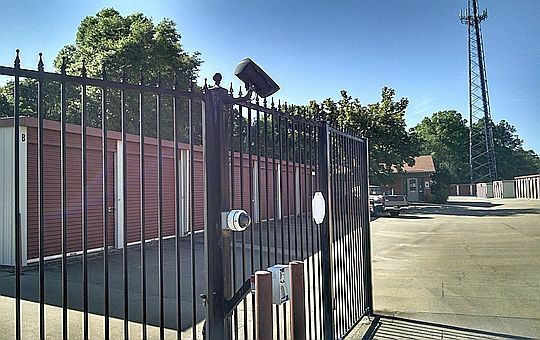 Our Self-Storage Facility is fenced and gated with clean, well-lighted premises. Our climate control building is equipped with hallway lights, fire extinguishers, and emergency exits. All storage units are on the ground floor with excellent drainage and easy-access roll up doors. Our exterior units offer drive up access, and we have handcarts available by request. Your storage unit is accessible anytime via our electronic keypad system. Simply drive up, enter your unique access code while seated in your vehicle, and our security gate automatically slides open! Gunter Self Storage monitors, records, and timestamps all activity at our Storage Facility, including our gate access & departure area, exterior service corridors, and climate control building interior. Our managers and maintenance staff reside on site, ensuring our Storage Facility is properly supervised and maintained around the clock. Please review our hours of operation for daytime office hours. Gunter Self Storage offers six (6) different sizes and configurations of storage units for Montgomery River Region residents. For all your self storage needs, please contact Lynn Gibson, owner and resident manager. Our 5’x5′ Mini Storage rentals are the ideal solution for decluttering your home and storing items that aren’t needed regularly but still have a use. If you don’t have space to store your Christmas tree, large Fourth of July flags, sports equipment, or other seasonal items, keeping them in a storage unit can clear out some space. 5’x10′ Mini Storage Units offer 50 square feet of floor space, equivalent in size to a small bedroom or a large walk-in closet. These units are perfect for a few pieces of furniture you don’t use regularly but don’t want to part with. This size storage unit is also convenient for keeping items until you’re able to sort through them. Our mid-sized storage units are about the same size as an average bedroom. With 100 square feet of storage space, you’ll have plenty of room to organize items and sort through them when you’re here. 10’x10’ storage units are great for holding furniture and equipment like riding lawnmowers or large table saws. Our medium-sized 10’x15′ storage units offer floor space equivalent in size to a large or master bedroom. These self service units are a good option for home-based businesses needing to store some products, materials, or other business-related items. 10×15 units can also protect vehicles from the weather when not in use. 10’x20’ storage units contain about as much space as a single-car garage. This unit offers enough room to store furniture from three to five rooms. When spending a significant time abroad, renting a 10×20 storage unit is often an economical solution when compared with the cost and hassle of subletting your apartment. 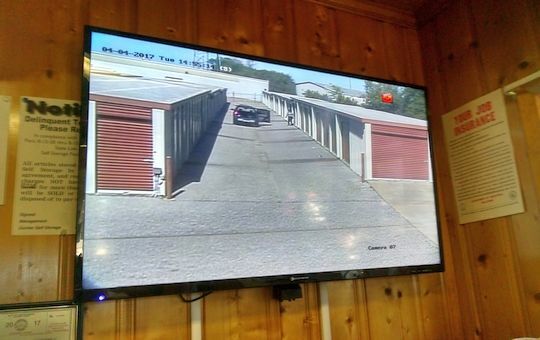 The 10’x25’ storage unit is the largest unit available at Gunter Self Storage. Offering 250 square feet of storage space, this extra large unit is bigger than some “tiny” homes and studio apartments. This amount of space enables you to store furniture and other possessions from your entire house or office facility.